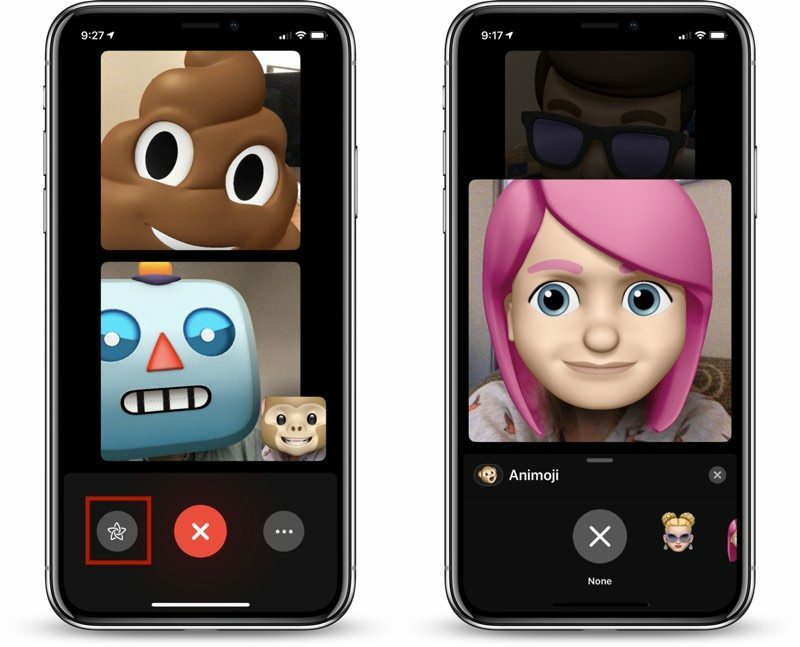 Back in June at WWDC, Apple introduced iOS 12 with a long-awaited Group FaceTime feature that's designed to let you chat with up to 32 people at one time using a unique tiled interface that's new to FaceTime. 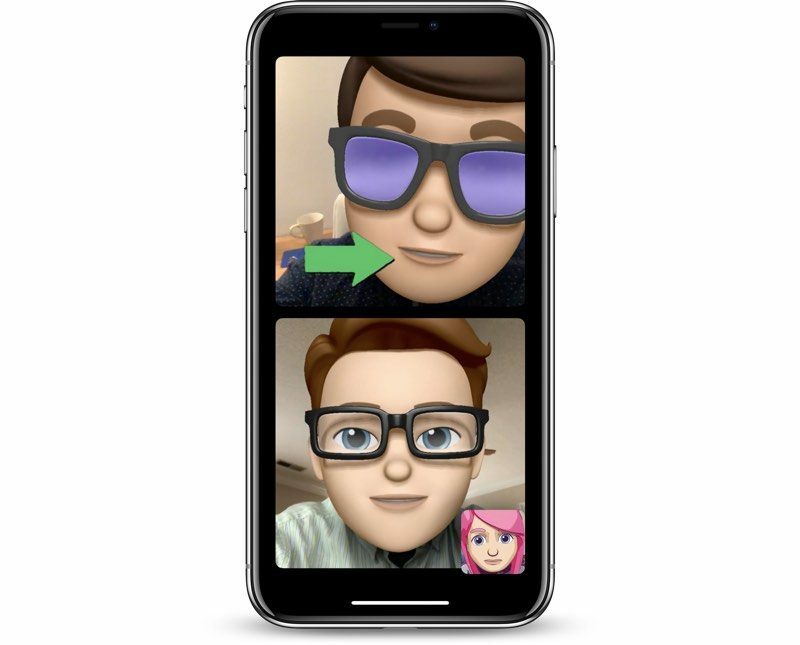 Apple ultimately removed Group FaceTime from the public iOS 12.0 release, but it's back in iOS 12.1, which was released on October 30 during Apple's New York event. Group FaceTime is relatively easy to use, but it may not be immediately obvious how a call is initiated nor how all of the group chat options work, which is why we've taken an in-depth look at the new feature. To use Group FaceTime, all participants must have iOS 12 installed. There are two ways to initiate a Group FaceTime call, using the FaceTime app or the Messages app. Tap on the "+" button in the upper right hand corner. In the "To" field, type a name and tap it. Continue typing in all of the names of the participants who you want to chat with. 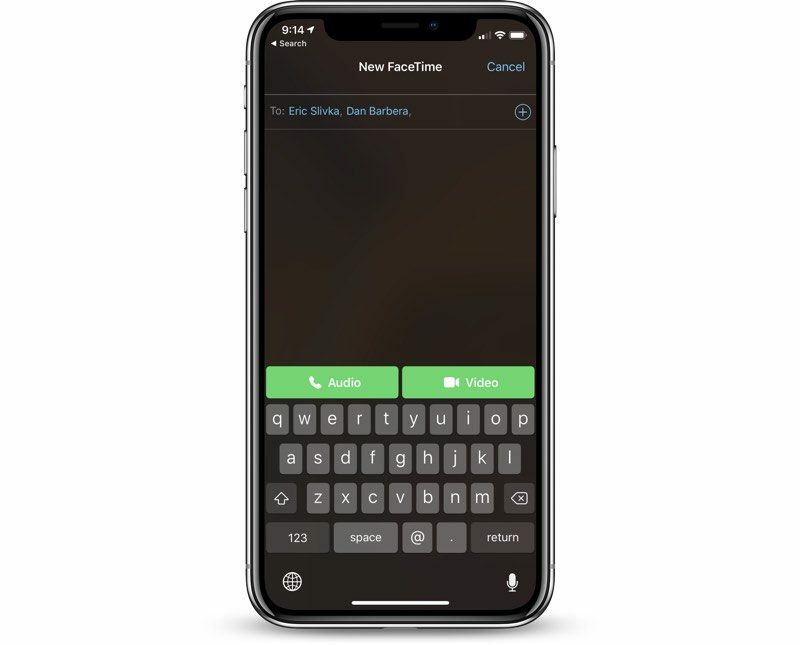 When ready to place the call, tap on either the audio or the video option and participants will receive a popup letting them know that you want to FaceTime with them. 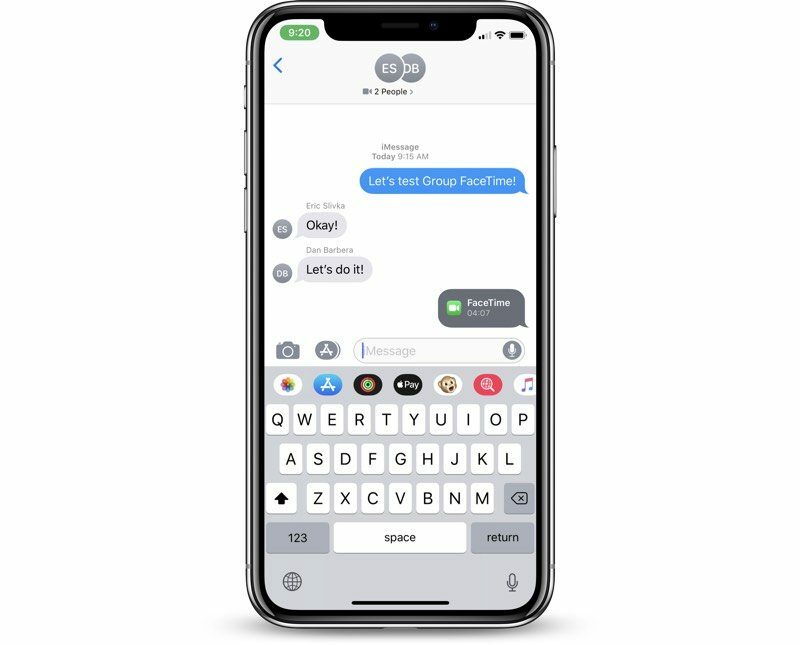 Open up an existing multi-person conversation or create a new iMessage chat thread. At the top, where the names of the chat participants are listed, tap to bring up a menu bar. Choose the "FaceTime" option to transition from a text-based conversation to a video or audio call. 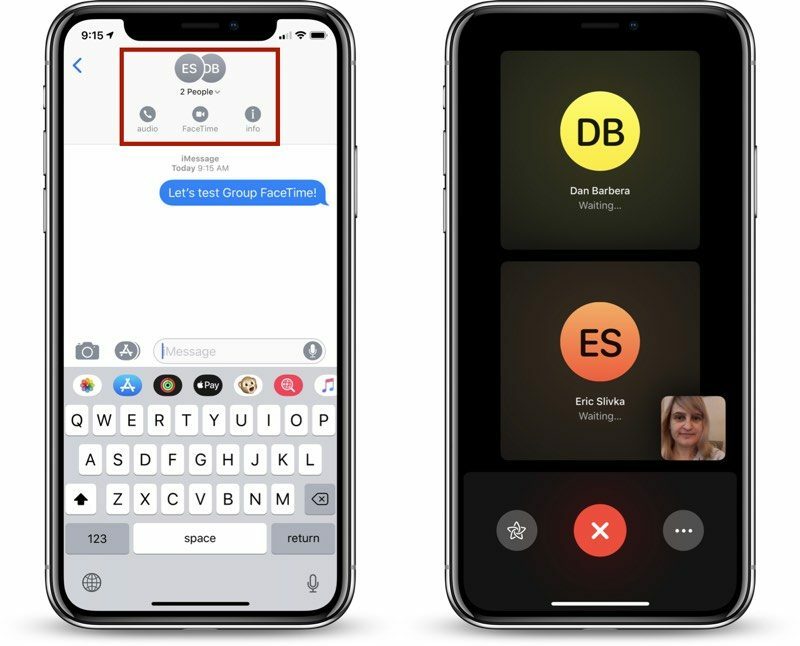 The Messages FaceTime interface works with just one person or with a group of people, and it's perhaps the easiest way to initiate a multi-person FaceTime call. 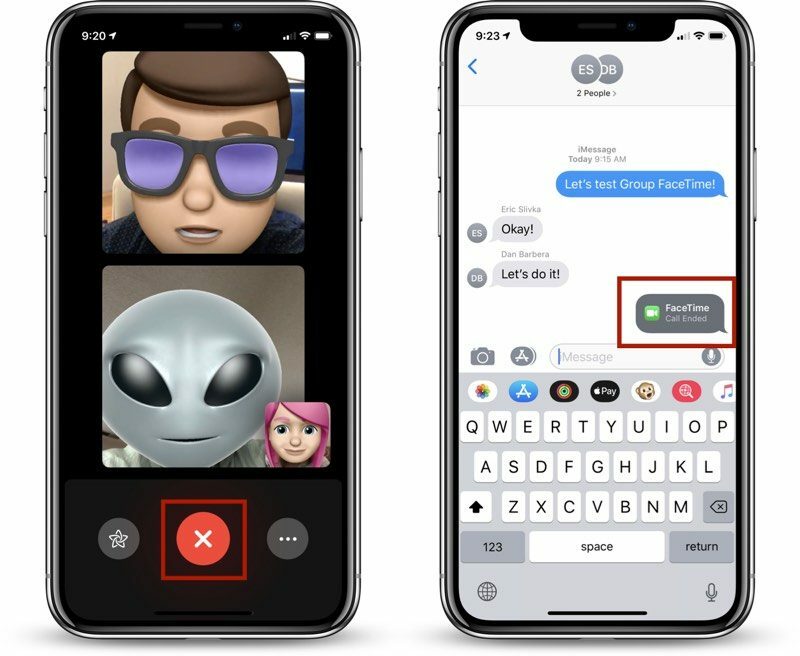 When a Group FaceTime chat is initiated either via FaceTime or through the Messages app, you will get a notification letting you know that a FaceTime call is initiating, which you can tap to join. When you're in a group chat in the Messages app and someone initiates a Group FaceTime conversation, any person in the chat can join the call at anytime. In the Messages interface, there's a chat popup that lets you know a call is ongoing, with a "Join" button available and the number of people active in the conversation. Joining a conversation is as simple as tapping that "Join" button, which automatically adds you to the call. There's no approval interface, so be aware that if you're in the middle of a conversation, anyone from a group Messages chat can interrupt and join in. While in a Group FaceTime call, you'll also see a chat bubble that lets you know how long the call has been going on. While in a FaceTime call, you can easily add another person to the chat. In an active call, tap on the icon that features three dots. Choose a name from the list to send them a notification to join in. As with a standard FaceTime call, exiting a Group FaceTime chat is as simple as tapping the big red "X" button to end the chat. 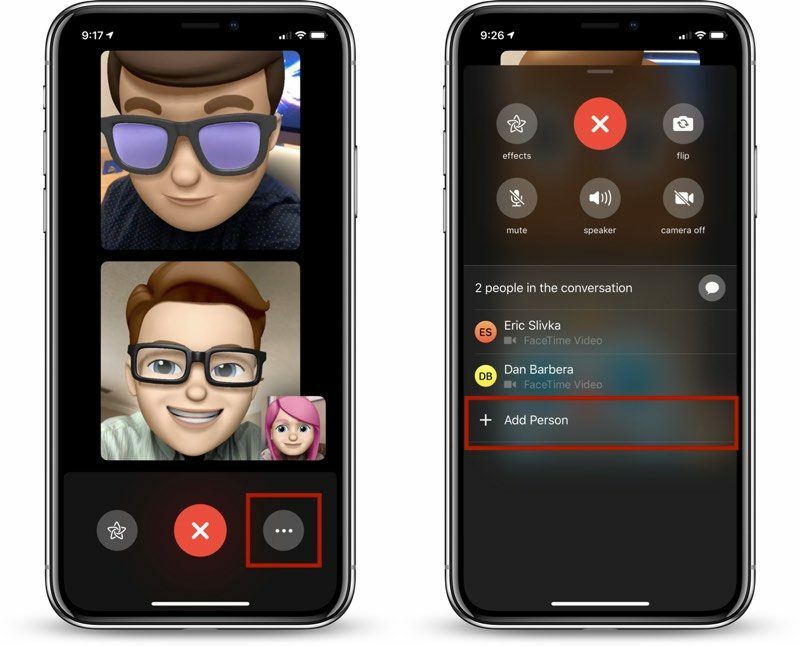 All Group FaceTime calls are displayed with a tiled interface that highlights the person who last spoke. If you have a call with multiple people, you'll see tiles of various sizes focusing on main participants, with those who haven't spoken recently minimized in small tiles. You can double tap on any person's tile to make it the focal point in your FaceTime view, enlarging the tile to its biggest possible size. Tap again to go back to the standard tiled view. 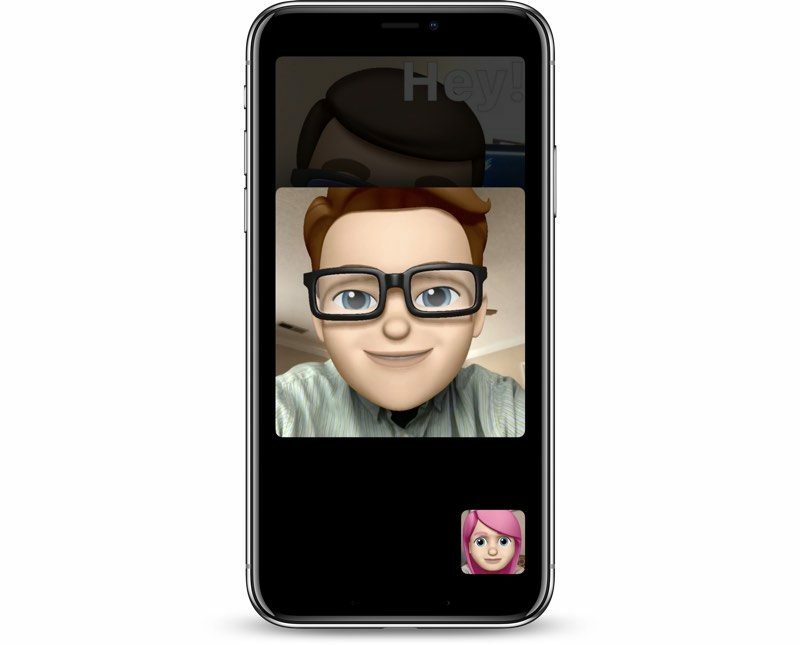 In addition to multi-person FaceTime calls, iOS 12 adds a new FaceTime effects camera that you can use while chatting. While in a FaceTime call, tap on the star-shaped icon to the left of the end call button to access options that include Animoji and Memoji, filters, stickers, shapes, and text. Multiple effects can be applied at once, which are displayed to all chat participants. The people you're chatting with can also choose different effects to use, leading to chats filled with different Memoji and Animoji characters. Memoji and Animoji are limited to devices with the TrueDepth camera system. We did a detailed how-to on the Effects camera in the Messages app, and it's essentially the same for FaceTime, so make sure to check that out for additional details on how to use this new feature. This how-to was last updated on October 31, 2018 to address Group FaceTime's reintroduction in iOS 12.1. Experts call Flash inefficient, but it ran a video call fine iBook G4-era Macs, and Google Hangouts with its new web technology manages to use 200% CPU on my 2015 rMBP. FaceTime is much better but still a total CPU hog compared to the 2003 tech. Yeah, and that video looked like crap, too. Video resolution and bandwidth have gone way up since then, and no surprise it costs more processing power to make that work. But nobody wants Flash back, thank you very much. Well, great, and with Emojis too..
Also no broadcast mode in this group chat with text commenting by viewers. Everyone else has done it on their systems and the whole “in a group messages chat and go to FaceTime with a click” shows there’s linking between the two. Broadcast mode would be killer for schools. Even better would be a mode where more viewers could join and there could be limited but multiple speakers. Like say up to 4 speakers. Or even two on a phone but 4 on an iPad, Mac or Apple TV (with a special app for viewing such broadcasts). A teacher could link up two classes even across the planet, do an interview with some special guest etc. Need all callers have iOS 12, or can some get limited access to the group call? I tried to add non ios 12 peeps and it was greyed out so I suspect, yes, everyone needs to be ios 12. I only upgraded my ipad 12.9 so don’t know if that is part of my limitation. George Orwell would be proud.its like a premonition of what the future could be like if we let technology take over our natural interpersonal behaviour. "Yeah. Well. That don't apply to me cos I don't ave any of them intra professional skills anyway. Whatever that is. And the funny pictures with mouths speaking is funny innit? Look. A talking cat. Cat talking. Funny"
I'm in London right now, meet me in an hour for a quick catch up? Trying to make fun of him? I found BruceEBonus' contribution very good and mature. After a bunch of laughing and disconnecting accidentally by pushing the wrong 'buttons' we finally got connected. After 30 seconds of cool, we went back to texting.